Key difference: Since ancient times, oils have been extracted from different fruits, seeds and vegetables. 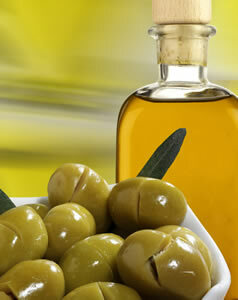 Like wise, Olive and Almond oils are obtained from the natural olive and almond seeds respectively. Both these oils are utilized in many cultures for topical diet and are known for their health benefits and uses. The natural oils are known for their enriching health benefits and medicinal uses. Along with these purposes they are often preferred in cooking. Olive and almond oils are especially applicable in medicinal purposes due to their excellent quality and uses. Almond oils are known for their skin and beneficial uses; whereas olive oil is known for reducing the problems related to Heart disease, diabetes, Alzheimer’s and cancers. Olive oils are obtained from the olive seeds; and have become famous recently due to their applications in the medicinal uses. The oils are known for their health effects and adviced in the food science; they are used in cooking and suggested by dieticians in the health tips. They are applicable in cooking, cosmetics, pharmaceuticals, and soaps and as fuel for traditional oil lamps. There are of variety of forms and types that differ according to the olive and its nature, each with a particular flavor and texture. Olive oils are categorized according to their grades, they are: Virgin: means the oil was produced by the use of mechanical means with no chemical treatment. Lampante oil: olive oil extracted by virgin (mechanical) methods but not suitable as food; lampante is Italian for "lamp". Refined oil: means the oil has been chemically treated to neutralize strong tastes (characterized as defects) and neutralize the acid content (free fatty acids). The different types of olive oils of particular flavor texture and shelf-life makes them more useful in different applications like, human direct consumption on bread, or salads; also indirect consumption in domestic cooking and catering, along with the industrial uses such as animal feed or engineering. 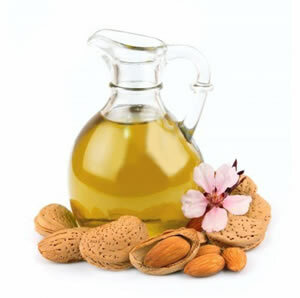 Almond oil is extracted from the dry almond by the cold pressing process. This oil is especially famous for its extra ordinary effective uses in the skin treatments and cosmetic uses, as it is rich in vitamin E, A and D. The oil is beneficial in long hair growths, strengthen the hairs and improves their quality. Almond oil have resulted beneficial in many cosmetic and skin creams; hence it is used as an integral ingredient in their makings and compounds. The best thing about the oil is that, it gets soaked inside the skin quickly and leaves behind only a slight type of residue. So, it can be applied in less quantity to cover the entire facial skin. Also, it is an excellent carrier for salt and sugar; hence it is applicable in the facial scrubs in orderfor removing the facial dust. Generally, almond oil is available in two main types: the bitter and sweet almond oils; out of which mostly sweet almond is commonly preferred as compared to that of the bitter almond oil as there are issues related to it. Both, olive and almond oils have numerous benefits and medicinal uses. The extra-ordinary applications of the oils are; olive oil is suggested in the food consumption for the ones who are suffering from heart disorders, while almond oils are main ingredients in the skin cosmetics and creams compounds. Both, olive and almond oils are famous for their skin benefits, hence are applicable in moisturizers, creams and cleansers. Olive oils can be used in the antibacterial creams for the skin disorders; while almond oil is used as a scrubbing agent in removing the dirt and dust from skin. Along with this, almond oil also plays a major role in the hair growth and their related issues. A, D, E and K.